Any serious shooter or hunter should have a lightweight bipod as a part of their kit. 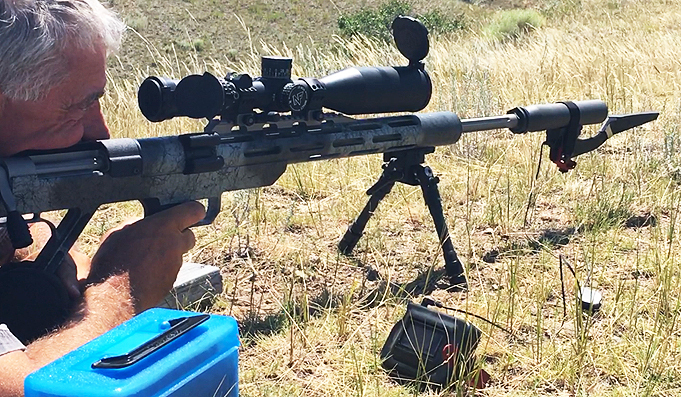 Whether for hunting or target shooting, nothing improves your accuracy more! 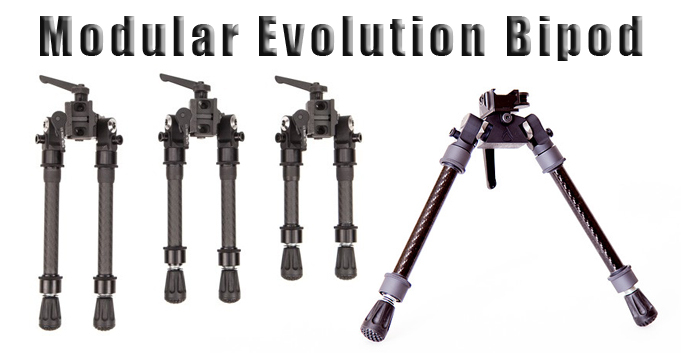 Modular Evolution makes the most versatile premium bipod I've used. Similar in design to the popular Atlas bipod, it's lighter courtesy of carbon-fiber legs. With a quick-detach head for Picatinny rails, the bipod can be swiftly swapped between various rifles. The head swivels and tilts, and the bipod comes with a tightening lever so you can lock it in position once comfortable and level. Legs may be positioned at five different angles: straight forward, straight backward, perpendicular to the rifle, at a 45-degree angle forward, and at a 45-degree angle rearward. Spring-loaded, detent-secured collars serve to attach the legs to the head and the feet to the legs. Not only are various feet ranging from textured rubber to steel spikes available, they can be changed in seconds. Even more interesting, the carbon-fiber legs can be piggybacked, enabling the shooter to create legs as long as desired. I carry a set of short legs on the rifle and a set of sitting-length bipod legs (an additional 9 ounces) in my hunting pack. If shooting in deep snow or thick ground vegetation, the sitting-length legs install in an instant, and if I need to sit on a steep slope and shoot across a canyon, I daisy-chain the two sets of legs together and get steady in a way I used to consider impossible in such situations. MSRP: $320 to $340 depending on leg length.